During the course of researching for a logo design project, I somehow ended up at rather intriguing website called 625.co.com, housing a rather terrific collection of Television logos and idents, in particular it was the BBC logos and idents that really interested me. This website was created way back in 1997 and last revised 2006, so stagnated in terms of updates, but it still proves to be a fascinating insight into BBC television logo history. 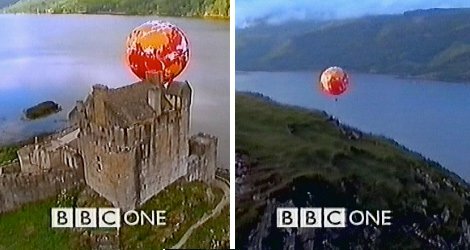 I remember sitting at home as a young kid, in the 1970’s, watching the familiar golden glob spinning on a blue background. This collection has really sparked some marvelous memories. Therefore, I have picked some of the images to display here, but I strongly recommend visting 625.co.com to fully take a trip down memory line. Also, there is a complete library of the logo and idents on Wikipedia. This could be your one and only stop, bypassing 625.co.com, but as I first found this site prior to information on Wiki, it’s only polite to visit the latter.